Look at the ground. It was not easy to maneuver the slope and the windfalls. 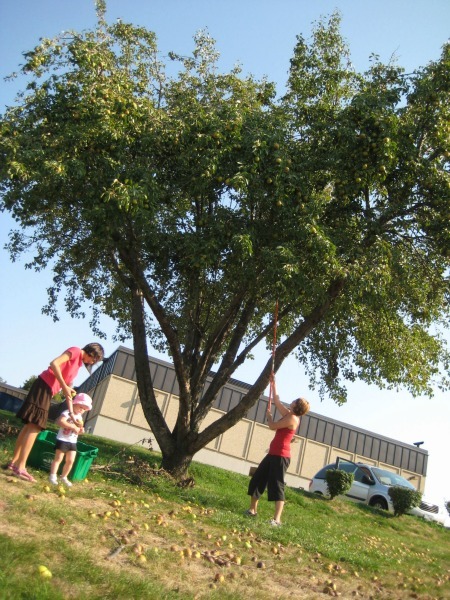 I spent one morning and one evening picking fruit with my handy dandy fruit picker. I may have to upgrade to a fruit picker like my sister’s above — I got to try it today, and that telescoping handle is pretty convenient for a short person like myself. 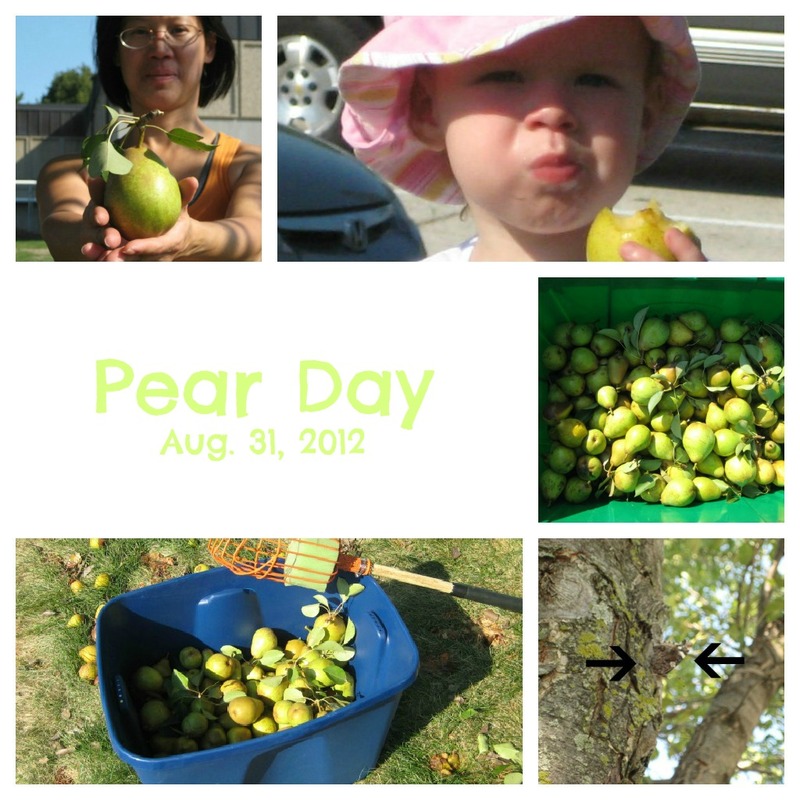 This morning, my sister, her youngest, my youngest, and I went to pick more pears before the heat got unbearable. The fruit was like what you’d find at a grocers. The negatives of picking your own fruit were very insignificant compared to the benefits. We really didn’t expect to step in slimy overripe fallen fruit and see so many bees and butterflies, but we did expect to see the toddler eat a few pears (oh, so cute) and we did expect to gather enough for our families to eat. We easily saved a lot a money by not purchasing at the store — three large boxes were filled in less than an hour. I believe Sara’s plan is to can the fruit for eating later in the year. What a blessing to have abundance during our drought. This entry was posted in food, frugal family. Bookmark the permalink.